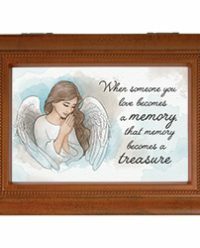 “the memories of our loved ones are eternal in our heart and soul, they are forever and eternal. ONLINE SHIPPING IS WHEN SHIPPING TO A HOME. IT IS NOT TO BE USED FOR LOCAL DELIVERY TO A FUNERAL HOME. Please let us know in the section in check out where it says “Notes To Shirleys” how you would like your card to read. For instance. With deepest sympathy on the loss of your sister, Love The Jones Family.